I have always admired people who can fully express how they feel inside, feeling under no obligation to fit in with what is ‘expected’ of them. And so I found Sam Smith’s recent admission of being non-binary and gender queer quite interesting, and wanted to know more about what it means to feel ‘in between’ a male and female identity. The 26-year-old spoke about their identity with Jameela Jamil on her Instagram page for I Weigh, a project which focuses on encouraging body confidence and self-esteem. Speaking with impressive candidness, Sam said, ‘Non-binary genderqueer is that you do not identify in a gender. You are a mixture of different things, you are your own special creation. That’s how I take it. I’m not male or female, I think I flow somewhere in between. It’s all on the spectrum’. It was lovely to see many of Sam’s fans come out in support, with plenty of people empathizing due to their own situations. Some described the conversation as ‘moving’, while others praised Sam for highlighting an under-discussed issue. However, I was also a quite saddened by the many negative responses which were designed to hurt and ridicule Sam and others who identify the same way. Surely we owe it to non-binary people to listen to what they have to say rather than tear them apart? Lee-Anne Lawrance – an author who identifies as non-binary – spoke to UNILAD about the frequent confusion surrounding what exactly non-binary means. 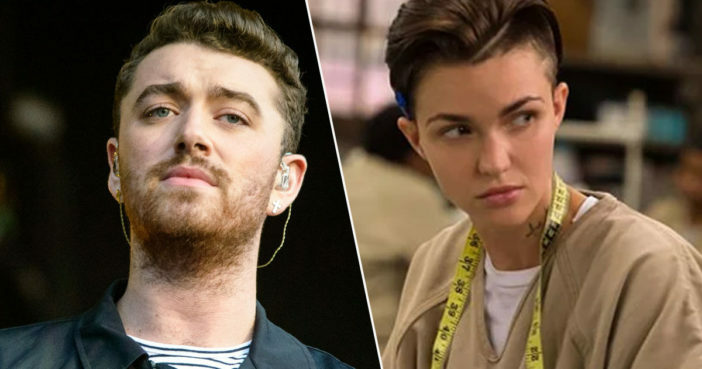 When Sam Smith came out as non-binary there were lots of hurtful comments from people who do not understand what it means to be non-binary. Unfortunately this is a common experience for many non-binary people and can make it difficult for people to be open about their gender. That is one of the reasons I wrote my book ‘Non-binary: what do you mean?’ I was frustrated explaining myself over and over again and decided to do something about it. So I wrote a book that helps people to easily understand what non-binary means. The book explains gender as a spectrum, the difference between being trans and being non-binary, pronouns, and how to treat your non-binary friends. I hope this will mean non-binary people can come out without the fear of abuse that we currently see. Being non-binary is clearly an important part of a lot of people’s identities, and it would be cruel – and rather dull – to force them to hide the person they are, in favour of making them adopt a more ‘normal’ persona. After all, many creative and iconic individuals have identified as gender queer or gender fluid, and their honesty has inspired countless others to be true to themselves. This includes the likes of Ruby Rose, Miley Cyrus, Tyler Ford, and Angel Haze. According to statistics from the organisation All About Trans, approximately 1 out of 250 people in the UK identify as non binary, with around a quarter to a third of trans people identifying as being in some way outside of the gender binary. This is a significant proportion of the population who are being dismissed as simply ‘attention seeking’ or confused’. If you are struggling with your gender identity, it can be all-consuming. I want people in this situation to know that you have time to work it out, there is no rush. Gender is complicated and it is ok to feel confused about it. Be prepared for your feelings and understanding to shift over time. Don’t be afraid to use the words that you feel best match your experience. They don’t have to be the words you use forever. You are allowed to experiment with your gender and then realise you are not trans and/or non-binary. But if you do realise you are trans and/or non-binary, then there are lots of people out there just like you and just like me, and we are thriving and so will you. Smith revealed how coming to understand the feminine side of their gender identity had improved their self-esteem, which in a tough old world like ours can only be a good thing. We think it’s fantastic that Sam Smith has had the courage to talk openly about his gender identity and hope that this leads to greater understanding and acceptance in society. Non-binary people face a great deal of misunderstanding and discrimination. Asking non-binary people how they identify as well as what language they use to describe themselves is almost always best if there is any confusion. LGBT Foundation offers support to people coming to terms with their gender identity and I would encourage people to come forward and speak to us – we are here if you need us. It’s easy to judge things we don’t understand or can’t relate to; making cruel remarks and assumptions about people we will probably never meet. It is much more difficult to learn to understand and respect different perspectives other than our own. I personally cannot relate to the feeling of being non-binary, but I am always open to hearing the stories of those who do. I also know, just because I cannot relate, does not mean being gender queer isn’t an authentic identity. After all, whatever happened to the old saying ‘live and let live’? It would be a boring old world if we were all the same. If you’ve been affected by any of these issues, and want to speak to someone in confidence contact Mindline Trans+ on 0300 330 5468. The line is open Mondays and Fridays, 8 pm to midnight and is run by trans volunteers.